Autumn is now well underway so now is the time to update your jewellery wardrobe for the new season and invest in some key pieces to see you through the fall in style. Last year saw a resurgence in statement jewellery and this year it seems that this is to continue with a fresh injection from the timeless classic and jewellery box essential, the pearl. Flirty accents and laidback, bohemian styles which a subtle earring silhouette can exquisitely accessorize is a key trend this season. Think delicate, feminine drop earrings to put a spring a in your step (or outfit!) Drop styles are demure, sophisticated and look stunning when hair is pulled neatly in a loose chignon - the ultimate girlie, summery look. 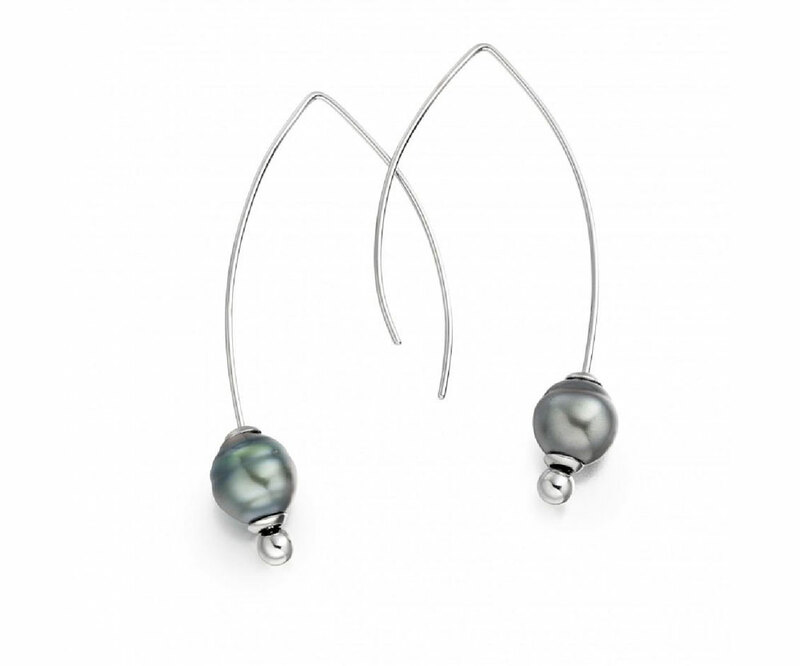 As a massive fan of pearls for their stunning, lustrous visuals and smooth, polished gleam as well as their effortless and timeless allure, these Tahitian Pearl earrings from Winterson will see you through this season in style and beyond. Perfect for both evening, or more everyday casual affairs, these beautiful earrings are made with exotic, cultured Tahitian pearls. They have an irregular baroque shape, injecting an edgy appearance into your look. The colourful grey pearls are suspended from a dramatic sterling silver curved hoop, which makes for a stylish, elegant and highly sophisticated get up. If you have more than one ear pierced and want to enhance your look then couple these with some drop Freshwater pearl earrings in your second hole. These delicate beauties have a simple oval shape. The pearls in question are cultured, freshwater pearls. They are secured to a white gold hook, which makes for a glossy, contemporary look. 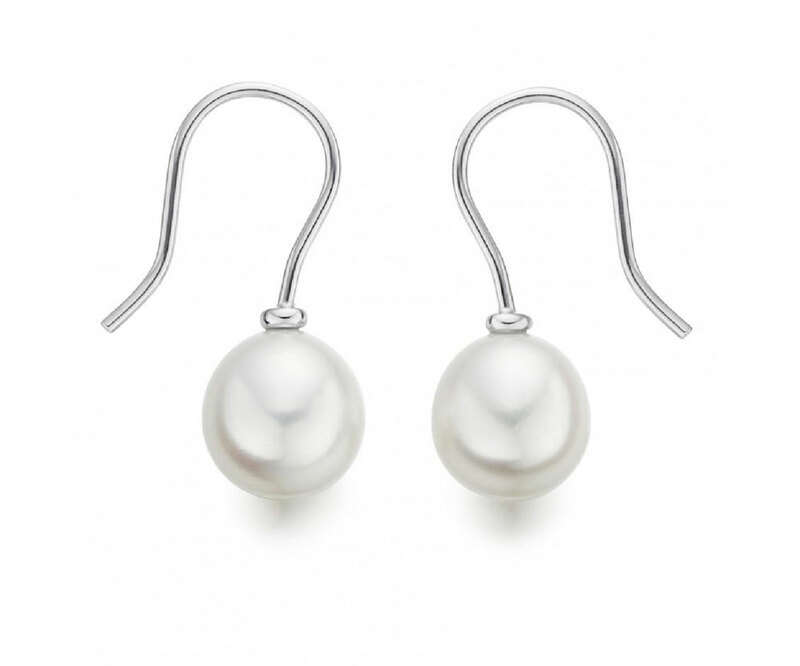 For earrings of the highest quality, choose a pair of pearls that have an excellent shine and lustre. On the catwalk this season, Chanel took centre stage with their exquisite collection featuring large, oversized faux pearls and baubles which were stunningly integrated into the designs of massive chokers and cuffs. Creams and soft greys were also the go-to colours. These bold influences are great when paired with your evening attire for a sassy, sophisticated and eye-catching look. The saying goes, ‘the bigger the better’ and Chanel definitely proved that this is the case with their show-stopping jewellery collection. As head designer and creative director for a number of Chanel’s collections, Karl Lagerfeld opted for ‘less is more’ mantra, stripping back any elaborate details and going back to basics with simple black, white and pearls, assembled around the necks and wrists of lithe models as well as sporadically bestrewn on his ensembles. Ensure you are bang on trend this season with bold, chunky pearl jewellery. Invest in a long pearl necklace from Winterson and double or triple up for a quick, easy and surefire way to achieve this bold and striking look. Author Bio: Rebecca is a luxury lifestyle aficionado, lover of all things fashion and style. She frequently blogs about her interests.